The key feature of these security enclosures are they can mount to almost all Brateck range of iPad/Tablet stands (risers, the Base + Pole). 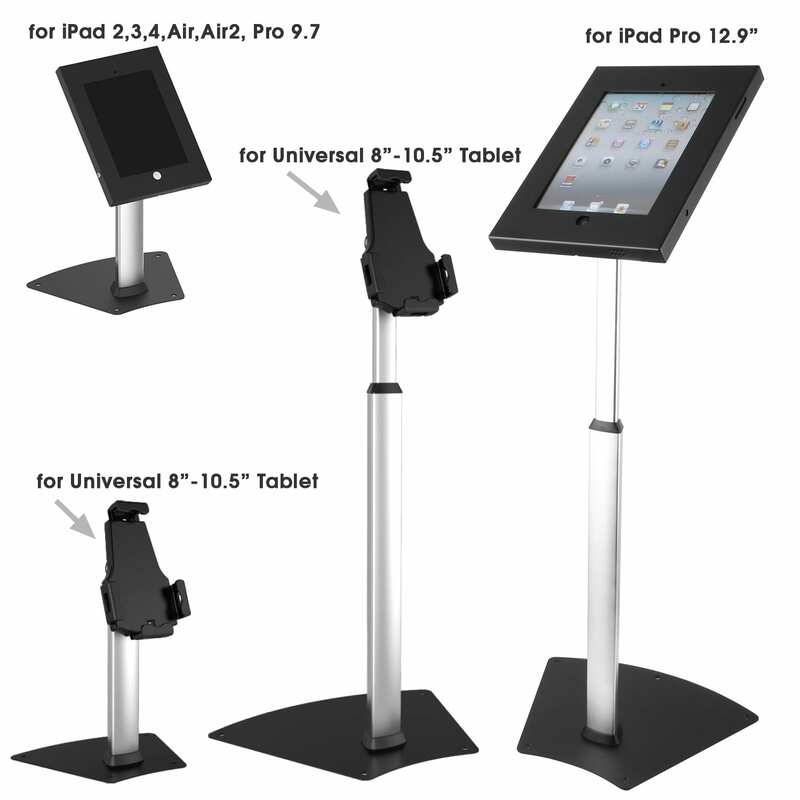 This give users flexibility to choose the various style of stands irrespective the size of their iPad/Tablet. For example, the same riser (weighted Base + aluminium Pole) are used to mount different sized enclosures for form different tablet stands like PAD1204, PAD1205, PAD2103,and PAD2104, as shown in image below. Another features of these iPad/Tablet enclosures can be directly mounted to wall, offering even better value for your money, as well as keeping your system flush with wall. 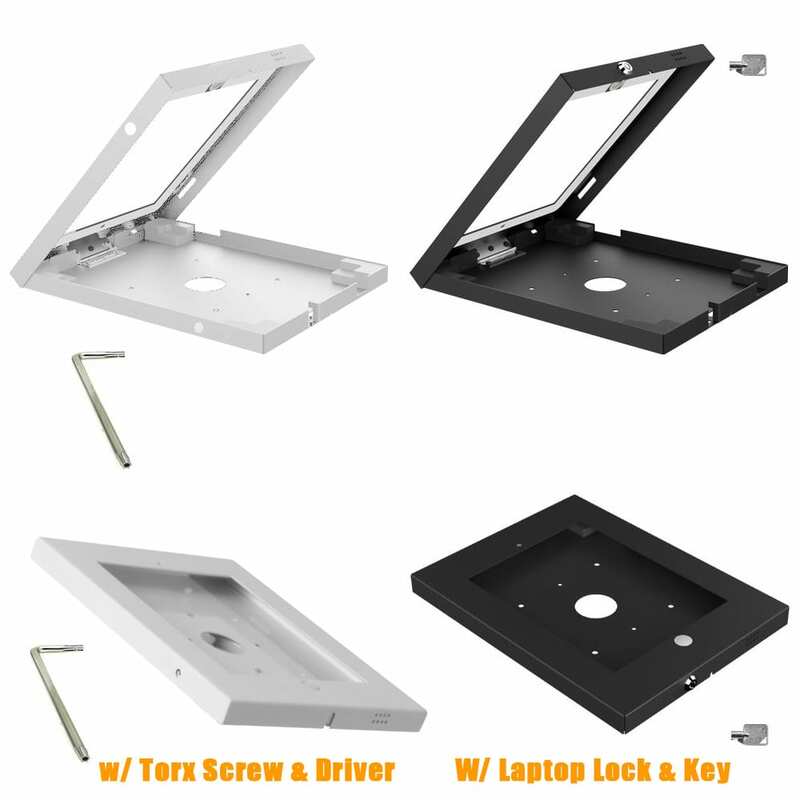 For each size of the security enclosure there are an additional option to have either a security screw w/ driver, or a Kensington laptop lock with keys.